How many times were you out with friends and wanted to show them a new cool video on Youtube through your smart phone but buffering was unbelievably slow? What about the time you had a cheap pay-as-you-go subscription and you wanted to save money using Viber to call your friends for free instead of giving more money to Vodafone? How painful was it that the Viber connection was insanely slow even though you had a full 3G signal? Is this due to the fact that 3G and 4G technology is rather poor? Should we be then looking forward to the 5G that will hopefully allow us to experience excellent Voice Over Internet Protocol (VoIP) communication and free video streaming? Think again! It was only ten days ago that the European Consumer Organisation (BEUC) and the European Digital Rights (EDRi) sent a letter to the European Commission demanding immediate action on net neutrality for the European Internet. Monique Goyens, Director General of BEUC, and Andreas Krisch, President of EDRi, representing more than 80 consumer and citizens organizations in the EU, sign the letter that condemns the inability of the Commissioner Neelie Kroes to defend neutrality in the European Internet. In fact, in this letter those organizations condemn the standard current practice of Telecom Giants to block, filter and throttle deliberately free Internet services like VoIP as they see them as competition. Net neutrality is a fundamental design principle of the Internet. As professor Tim Wu from Columbia Law School puts it: “The idea is that a maximally useful public information network aspires to treat all content, sites and platforms equally”. In short, all information a user sends and receives through the Internet should have the same value and not be discriminated by the Internet Service Provider (ISP), the mobile network (e.g. Vodafone) or the government. This is exactly why the Internet came to revolutionize the society of the 21st century. The democratization of the flow of information makes it possible today for modern people to participate more actively in society, education and communication. Having said that, it is well understood that the Internet is inherently neutral. However, often telecom operators or ISPs do not respect the principle of neutrality that the creator of the web, Tim Berners-Lee, embraces. The stance of the European Commission on this crucial issue for the modern European society has never really tackled the problem. Instead, the issue has been regarded as a problem of the market. Thus, competition and transparency are the two tools that the EC has used to defend a neutral Internet. However, net neutrality is threatened by deliberate traffic management of the information accessible to the user and not by price or speed difference in the services provided to her. Transparency of the services provided to the Internet user or the ability to switch ISP or telecom operator has little to do with Internet neutrality. The primordial principle of net neutrality defines that it is the citizen who decides and controls every bit of information he sends or receives and not the Internet provider. It is stimulating here to follow some statements by Neelie Kroes, the 72 year old Commissioner for Digital Agenda, in order to understand clearly the distinctly problematic approach of the EC on this issue. The Commissioner has supported that the European citizens should be able to choose their Internet subscription and activity but this “does not preclude consumers from subscribing to more differentiated, limited Internet offers, possibly for a lower price.” Moreover, here are some other past statements of the Commissioner: “Make no mistake: I am in favor of an open Internet and maximum choice. That must be protected. But you don’t need me or the E.U. telling you what sort of Internet services you must pay for.”… “On net neutrality, consumers need effective choice on the type of internet subscription they sign up to. Choice should also drive innovation and investment by internet providers, with benefits for all.” In addition to those statements that prove the misguided “market oriented” approach of Mrs Kroes on the issue, in an interview at the French newspaper Liberation she did not omit even to mention her opinion that the Telecom sector should not be over regulated and that they can have the right to limit and control the flow of the information on the Web. Mrs Kroes’ wrong policy making on the issue has been undoubtedly the reason why many organizations and media have strongly criticized her work. It is clear that she considers the issue to be of minor importance and that she aims to put out a fire with a glass of water, the glass of water being competition and transparency mechanisms. Moreover, she openly supports the telecom industry’s antidemocratic strategy to throttle or limit the Internet bandwidth as they want. Apart from the European Consumer Organization and the European Digital Rights, other organizations like the French La Quadrature du Net are explicitly against the Commissioner’s stance. 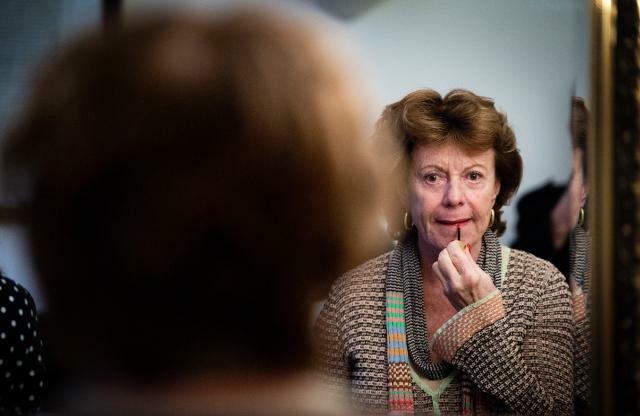 Last January the organization argued that Mrs Kroes is significantly influenced by the lobbyists of the Telecom industry. What is more, the European Parliament, the democratic representator of the European citizen in the EU, has several times expressed its worries over the policies followed on the issue by DG Connect. The EP voted last December for the second time after November 2011 in favour of net neutrality in Europe, drawing the attention of the Commission and the Council on the issue and calling them to urgently change their “wait and see” approach. The need to have an EU regulation to secure Internet neutrality in the Old Continent is unanimously embraced today. However, Mrs Kroes’ laissez-faire stance is an impediment for a truly democratic European Web. It is shocking to find out that some EU members like the Netherlands and Slovenia that see the clear inability of the Commission to protect the European citizen on this matter, have voted country legislations on their own to protect net neutrality. France also is currently discussing its own legislation too on the issue. What else do you need to see the immediate necessity for an EU legislation on the issue? The crucial question now is: Has the Commissioner always been against net neutrality in Europe? I am afraid not. It seems that Mrs Kroes had very good intentions right before she took over at the DG Connect. We see that back in early 2010 she had supported that ISPs “shouldn’t be allowed to limit the access to service or content out of commercial motivation, but only in cases of security issues and spamming”. We see that it takes only a couple of years time for a Commissioner to cancel all her promises and be unfaithful to the European citizen. Is it the case that at the age of 72 it is possible for a Commissioner not to be able to perfectly control her sayings? To be perfectly honest, that was the first thing that occurred to me but then I ran into the proposal submitted by the official lobbying mechanism of Telecoms and ISPs (ETNO) during the ITU’s World Conference on International Telecommunications (WCIT) last year in Dubai. I would like to close this story by keeping one single sentence from ETNO’s proposal : “Nothing shall preclude commercial agreements with differentiated quality of service delivery to develop.” It is as if it was coming from Mrs Kroes’ mouth, isn’t it?